The thief froze as a string of sharp yips hammered the quiet night. Both big Dobermans were darted and sleeping soundly out at the fence, so this yapper must be a house pet. A light flashed briefly as the back door opened. A fur ball with pointed ears bounded down the steps and made straight for him. The feisty canine latched onto his pant leg and whipped it back and forth, growling furiously. A growl was preferable to a bark, so he dragged his dog-impeded leg like a zombie in some old Hollywood movie. As he reached the poultry pen, all hell broke loose. A single quack quickly built into a raucous caterwauling. Someone flipped a switch up at the house, and brilliant light suddenly flooded the enclosure. He reeled backwards, stunned by a sea of white. Ducks. Dozens of ducks. Hundreds. How was he going to find the right one? The dog attached to his pant leg shifted its grip and closed on his ankle. Cursing, he gave an involuntary kick, sending the pooch over the fence. The ducks scattered, opening a circle of dark earth around the confused mutt. The pup transferred its attention to the birds and began a joyful chase, dashing this way and that, parting its panicked prey in dizzying waves of undulating white, creating a living kaleidoscope of shifting shades and shapes. Then he saw her. In a coop all by herself. Like she was waiting to turn into a swan or something. A clamor from the house galvanized him into action. He vaulted the fence, threw open the cage door, and dragged her out by the neck. He ignored the claws raking flesh from his forearms as he fled through a horse corral at the back of the pen. He made it to the cover of some shrubbery before the ranch came alive. Moments later a woman’s agonized wail rose above everything. Remembering he was to deliver the duck alive, he loosened his hold on the feathery neck. The bird immediately set up a loud protest that could have awakened the dead but wasn’t enough to overcome the clamor of the hundred or so other birds. He turned and headed for his pickup. Best get out of there before Millicent Muldren’s drovers filled him full of lead. I jerked the cell phone away from my ear and looked at it as if it had lost its mind—or its chip. Del Dahlman, a local attorney, wanted me to drop everything and run down to the UNM Emergency Center to interview a man named Richard Martinson. When he told me why, I assumed he was kidding. He had to be. I stared at the bright blue sky on this cloudless Saturday afternoon and considered hanging up on Del. I was standing on the fourth tee of the golf course at the North Valley Country Club with Paul Barton. Although we lived together, it was a rare occasion when Paul and I could share the daylight hours. Between my confidential investigations business and Paul’s schedule—UNM grad school summer courses and an aquatic director’s job at the country club—we were the proverbial ships passing in the night. I resented Del’s intrusion, but he and I go back a long way—some of it sweet, some of it bittersweet, and some downright sour. “You need to get a move on,” he said. “You’ve got to get to him before they let him go. His name’s Richard Martinson, but…but they call him Liver Lips.” Del didn’t like playing the straight man. “You’re wasting my time, BJ.” He always called me Vince, a carryover from the days when we were a couple. Anytime he resorted to addressing me as BJ like the rest of the world, he was pissed. I snickered through the rest of his briefing, hung up, and turned to my golfing companion. Paul got as good a laugh out of it as I had. In fact, we both broke up a couple of times during the retelling. I do not like walking into a situation I don’t understand, and I damned well didn’t understand this one. But I had no trouble locating Martinson in the waiting room at the hospital. Liver Lips. The young man's nickname described him perfectly. His thick, purple-hued, oral projections drew my eye like a magnet. It was only later I noticed he was skinny, seedy, and carried a generally disreputable air. Gray eyes darted here and there as if he were constantly searching for a bolt hole. 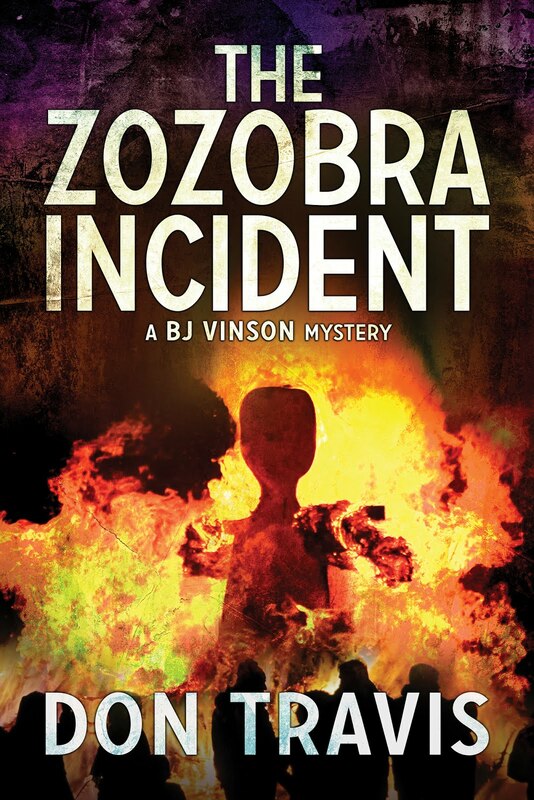 The man’s scalp glistened through thin strands of frizzy blond hair. 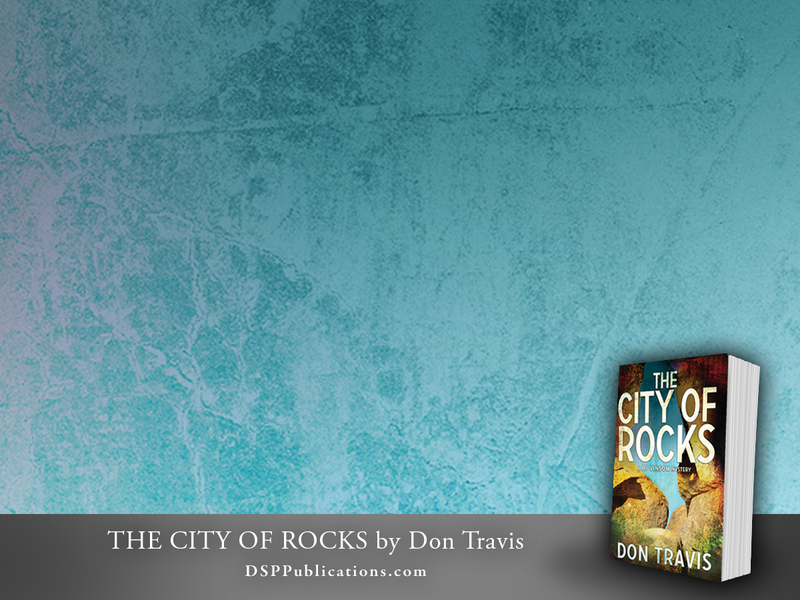 Whether talking or listening or simply idle, his dark tongue periodically snaked out to wash down those heavy lips. Seldom had I been so thoroughly repulsed by another’s physical appearance. “Had a fight with a thorn bush. Frigging bush won.” He went for humor, glancing up through thin, colorless lashes to see if it had worked. “What are you doing up here? You live down in Deming, don’t you?” I drew on the thin biography Del had provided. “About what?” He seemed genuinely perplexed by my question. “About stealing a valuable…bird.” If I’d said “duck” I’d have burst out laughing. “You know where the abduction…uh, theft took place. Stop wasting my time. What did you want with a prize duck named….” I stopped, unable to call a bird by that ridiculous name. I was flying totally blind. I had no idea if there was a warrant out for this character. In fact, I didn’t even know why he was suspected of the theft. Or how Del found out he’d be at the UNM Emergency Center today. “Dunno.” The word came out in a whisper. “How much money?” His attitude changed. If Liver Lips had a crafty side, this was it. Jeez. The guy hadn’t even been paid. He’d done it as a favor, or else someone had leverage on Richard Martinson. Despite his objections, I trod on his heels as he walked toward a counter. They’d made some big-time changes at the UNM Emergency Center since I was here last. It was now housed in a new building called the Pavilion. But I was pretty sure this wasn’t the outpatient pharmacy. Liver Lips was getting ready to make a move. He did, but it wasn’t the one I expected; probably not the one he anticipated, either. I whirled as the outside door crashed open. A man and a woman rushed inside, carrying a little girl with a bloody hand wrapped in stained towels. Hines brushed by me to see if his help was needed. When I turned back to confront Liver lips, he was nowhere in sight. I made a quick sweep of the hallways, but he had disappeared. Maybe Liver did have a crafty side, after all. Muttering under my breath, I headed for the parking structure to get my Impala. On the way, I hit the speed dial on my cell. Dell wasn’t pleased with the interview results, and I couldn’t blame him. “Nothing. I’ll let the client know Liver Lips is running. Probably back to the Deming area. He doesn’t seem to have personal ties anywhere else. Go back to your golf game, Vince." “That’s probably why it’s still working.” He hung up. I was out of sorts, probably for the rest of the day. Paul’s schedule had reclaimed him, so I left the UNM parking structure and headed west on Lomas. The office was closed, but I’d been out working on a case since yesterday afternoon, so Hazel Harris, my manager, had likely left a pile of documents for me to review and sign. Might as well get that chore over and done with instead of waiting for Monday. Hazel and Charlie Weeks, the retired cop who was fast becoming a full-time investigator for me, had wrapped up a couple of cases. Charlie was not only a godsend to my business; he also kept my mothering, smothering office manager off of my back. The two were becoming quite a pair around the office, although they continued to believe it was it a secret. I settled down at my desk and reviewed the reports they’d left for me. After signing off on the documents, I went through the unopened mail, making a few notations and dictating an answer or two before snapping off my desk lamp. Still vaguely disgruntled, I swiveled my chair to the windows behind my desk and allowed the vista beyond the glass to slowly calm my nerves as I came to grips with my ill-defined sense of unease. It was not Del interrupting my pleasant afternoon with Paul—although that was a factor—as much as it was a sense of failure. Of leaving a job unfinished, a goal unattained. Liver Lips had out-foxed me, and that did not sit well. A pleasant evening with Paul finally laid the thing to rest. Until the telephone rang at one fifteen in the morning. This looks good. 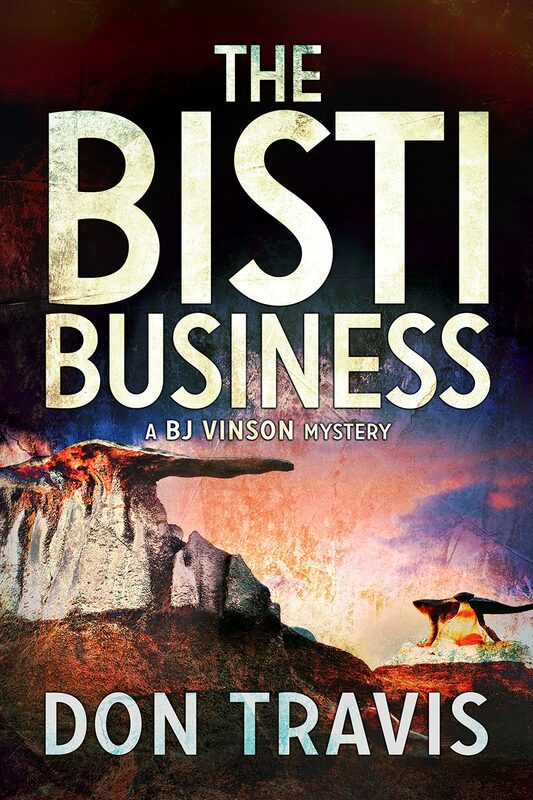 I've just finished Bisti Business and was searching for the next book in the series. Glad to see that it is on the way. 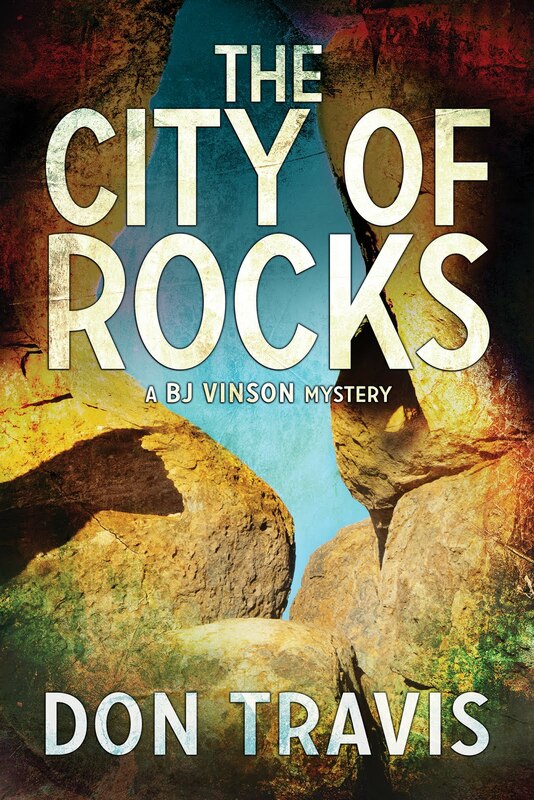 bodleian, City of Rocks becomes available on July 18. Zobobra and Bisti both already out.